Write it, identify it as yours, and it’s protected by copyright. Simple, right? Not so much. Sure, it’s easy to claim copyright by noting the title, author name, and year. 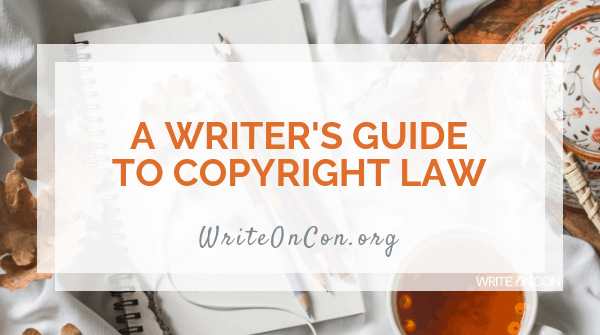 It doesn’t hurt to add the ©; state ‘All rights reserved’; and list an ISBN, a fair use statement, and maybe some content disclaimers or contributor credits. Yet claiming copyright is not the same as understanding, protecting, and managing it. Intellectual property is legally protected in one of three sometimes intermeshing ways: patent, trademark, and copyright. Patents are exclusive legal rights to an innovative product or process. Trademarks are signs that differentiate the goods or services of one enterprise from those of another. Copyrights are legal bundles of rights affording monopoly (full) control over a created work. A work’s first copyright owner is the creator-writer or the enterprise that contracted a work-for-hire creator-writer. Copyright is an alienable (transferrable) right. Transfers open the door to confused ownership; copyright registration is designed to solve that problem. Registering with the U.S. Copyright Office establishes the formal record of a work’s key identifiers, including content, format specs, authorship, and ownership. Copyright has a long, fractious history. The earliest true law, Britain’s Statute of Anne (1710), evolved to settle publishers’ fights with booksellers (who bore greater risk and deserved higher reward). Before this statute, all writing was considered for hire and ownership was debated privately without formal regulation. Today in the U.S., new work is protected by copyright law as soon as it is ‘fixed in a tangible medium’ (e.g. paint to canvas, pen to paper). But there are practical limits to legally and uniformly protecting work that is used or stored in many varying ways. So now, copyright registration is the only way to establish specific protections and inclusion in the Library of Congress. On a larger scale, aggregating copyrights protects how our culture communicates with and about all created materials. Unregistered works get omitted and expired ones get lost from this discourse (i.e., become public domain). a. Find the correct form at the Copyright Office Forms. b. Once submitted, an application is part of public record (anyone can request access). a. Fees range $35-$85 depending on several factors. b. Lower fees are being considered to incentivize registration of financially unproven works. Affordability for more registrants feeds the larger goal of making more creative endeavors available for fair access and protected management. a.	Verify compliance with the Best Edition Statement. For example, a hardcopy generally is the best edition as compared to a paperback. b. Submit the correct number of copies to the Copyright Office, usually 1-2. It takes 6-10 months for the certificate of an approved copyright to arrive. Copyright registration starts on the date all three application elements were received by the Copyright Office. Find the Copyright Office’s complete process overview and application (paper or digital) at the Registration Portal. o	author-owner copyright expires 70 years after the author’s death. o	corporate work-for-hire copyrights expire 95 years after the author’s death. •	Anything published before 1923 is in the Public Domain. •	Copyrights before January 1, 1964 expired unless the registration was renewed. •	Work copyrighted between January 1, 1964 and December 31, 1977 started with a 28-year term. Renewal became automatic and now extends to 95 years from original copyright date. •	Anything with an expired copyright registration enters the Public Domain. •	It’s mandated to be complete within three months of (generally commercial) publication. •	If registration occurs within 3 months of publication and infringement is proven, copyright owners could receive reimbursement of attorney and court fees plus damages from ~$200 to $150,000, depending on the work’s profitability and/or the scope or intentionality of the infringement. •	Registration within 5 years of publication boosts legal validity of ownership claims. Hazy memory, incomplete usage history, and other factors make it harder for late registrants to prove ownership. •	It’s required to start an infringement (unfair use) suit. •	Unregistered works can become ‘orphans’ unavailable for any use at all. •	U.S. Copyright applies only to work created in the U.S. The U.S. Copyright Act does not confer international protections to work published or distributed outside the U.S. However, most countries (even non-signatories) comply with the Berne Convention for the Protection of Literary and Artistic Works. Does copyright strike you as a) predominantly beneficial or b) an overabundance of caution or red tape? Why? Would you register copyright for an unpublished work? Why or why not?